Commuter and tourist ferries were instrumental in rescuing passengers from an airliner made an emergency landing in the Hudson River. 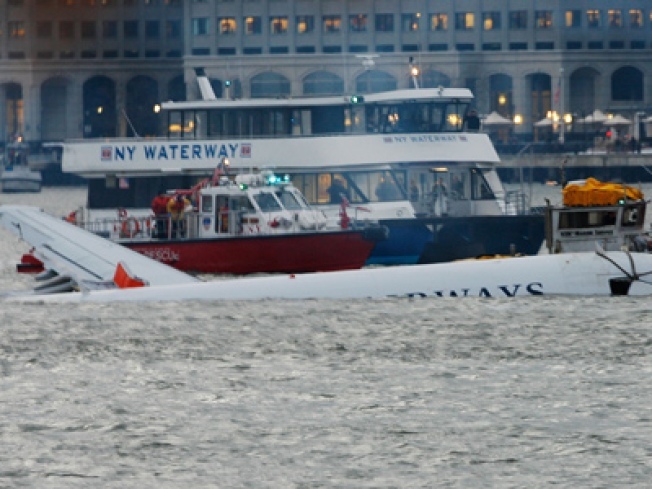 The majority of first responders to a US Airways jet that landed in New York Hudson's River wasn't the FDNY, NYPD, or Coast Guard, but a cluster of commercial commuter ferries that raced to the scene to rescue imperiled passengers huddled on the jets wings and in life rafts. It was not a stroke of luck. Appearing alongside New York Mayor Michael Bloomberg at a press conference Thursday afternoon, ferry operator NY Waterway's director of operations Alan Warren said "we don't think, we just react." Alan said that , "we drill all the time on safety," describing how companies like Circle Line and NY Waterway coordinate with New York, New Jersey and their emergency agencies in rescue procedures for just such an occassion. Janis Krums was aboard a ferry boat first on the scene, and told MSNBC about the speed of response. "Someone yelled there was a plane in the Hudson, and sure enough there was." He said that after snapping a dramatic picture of the floating airliner, "We started taking people from the wing and from the raft of the plane up onto our ferry and giving them clothes and jackets to get them warmer. We were just trying to pull people up as quickly as we could." Warren, a 12-year veteran with NY Waterway, said that four of the company's boats were on the scene almost immediately. The ferry service conducts regular safety training and Coast Guard rescue drills. He commended the boats' crews for their actions and also office personnel fo setting up a triage facility at New Jersey's Port Imperial Ferry Terminal. He was also congratulatory of the actions of New York and New Jersey's official emergency services. One witness to the incident called WNBC from his apartment in New Jersey. "I called 911 ... I said, 'I see Port Authority already rushing out to the planes from both sides of the Hudson (River),' within 30 seconds of landing. They were on there way out there. It was unbelievable."